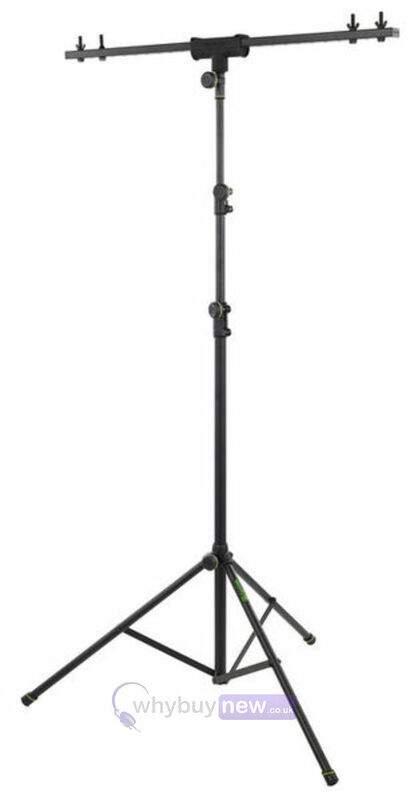 This Gravity LS TBTV 17 Lighting Stand With T-Bar has come to us via a part exchange and comes with a 3 month warranty. It comes in the original box. The unbreakable height adjustment collars are made of steel for additional strength and feature safety pins to securely lock the extensions in place. The ergonomic set screw knobs are made from high grade ABS with a soft touch, non-slip thermoplastic coating for comfortable handling. 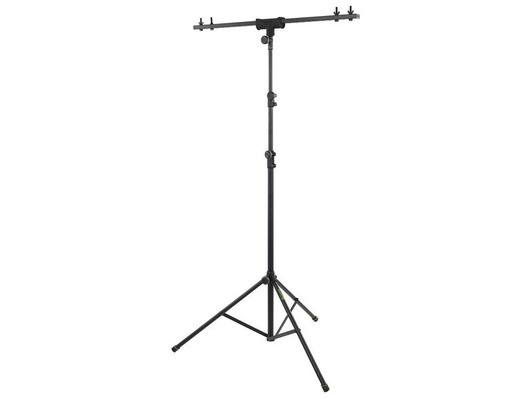 The stand includes a T-Bar with an ergonomically formed and rubberised T-Joint making the T-Bar not only easier to handle and carry but also better looking than regular stands.